One Meyer Condo exact location will be located at 1 Meyer Place, beside Meyer Residence and The View @ Meyer Condo. Currently, SL Capital is currently constructing the One Meyer Showflat, to be invited when the show gallery is ready, please register here. Walk-in is strongly NOT recommended, please kindly call before coming down to the show suites. Login to CPF website or visit the nearest CPF branch. Assess the amount of CPF you can use for your purchase of One Meyer condo. 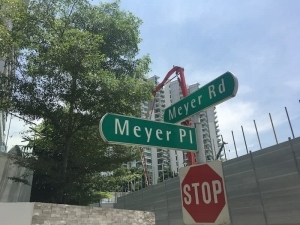 If you’re uncertain how the above works, kindly give us a ring and we’ll lead you towards your purchase of One Meyer!